Australia is arguably the perfect place to spend Christmas if you’re looking for a combination of festive traditions mixed with something a little different. Think Christmas trees, carols and presents, but on a warm beach with the sun beating down on you! Start your Christmas Eve celebrations with ‘Carols by Candlelight’; a local Melbourne tradition dating back to the 19th Century. An evening of carol singing and delicious food and drink amongst a sea of thousands of candles lighting up the sky, will be a surefire way to kickstart your Christmas spirit. Enjoy Christmas Day soaking up the sun on one of Australia’s many golden beaches. Forget your turkey dinner though (just this once); a BBQ or Picnic with generous helpings of champagne is the way to mark the occasion. Finally, round off your trip with the spectacular, and World famous, Sydney fireworks display on New Year’s Eve. It’s the only place to be for breathtaking views of Sydney Harbour Bridge, unforgettable fireworks, and to ring in the New Year in style! 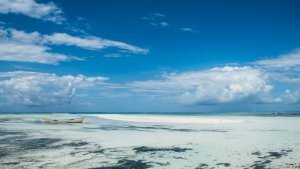 Zanzibar is a very popular destination to visit over the Christmas period. Also known as ‘The Spice Island’, it boasts amongst the best beaches in the world, with coconut palms and powder soft coral sands washed by shimmering clear seas. 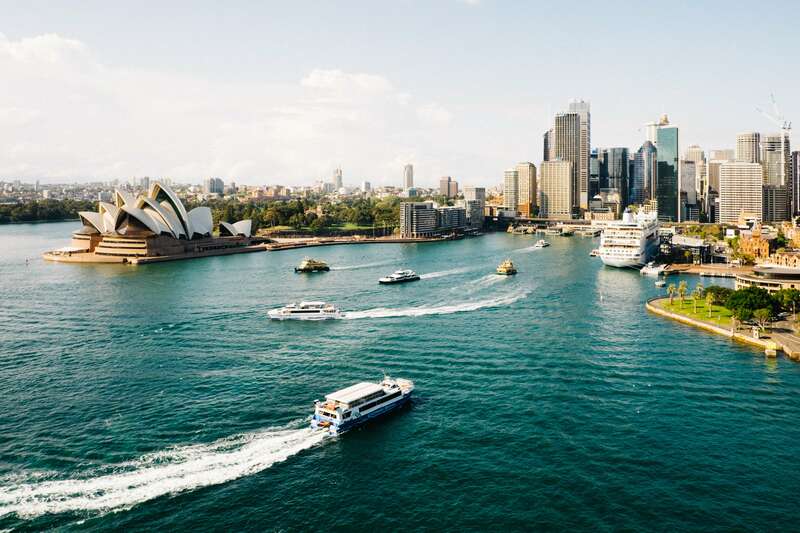 The landscape and coastline as largely unspoilt, and scattered with picturesque fishing villages and spice markets, making it the perfect choice if you’re looking to soak up some culture while you’re there. Despite the allure of the beaches, Zanzibar offers a whole host of other attractions to make your trip unforgettable. You could spend the day wandering through Stone Town, an incredible mash-up of winding alleys and old Arabic-style buildings, or head to Jozani Forest, the last indigenous forest left on Zanzibar. If you work up an appetite after your excursions, there are food options aplenty. If you want a really authentic experience, visit the Forodhani Market where you’ll be able to sample fresh local meat, fish and vegetables. If you want to splash out, The Rock restaurant offers unbeatable views over the island and also offers some of its best seafood. Be sure to book well in advance, though! 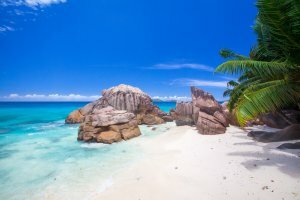 There are few better beach destinations than Seychelles, with endless talc-white crescents and stretches hemmed by granite boulders. Being one of the world’s smallest countries, with a population of just 100,000 across its 115 remote islands, it is the perfect place to spend Christmas in the peace and quiet. Fall in love with the local Creole culture, marvel at the incredible nature (rare birds and giant tortoises), or even walk in the breathtaking Valee de Mer on Praslin. If you’re itching for some adventure, though, the diving is a must. With over 850 species of fish and 6 marine parks, you won’t be disappointed! 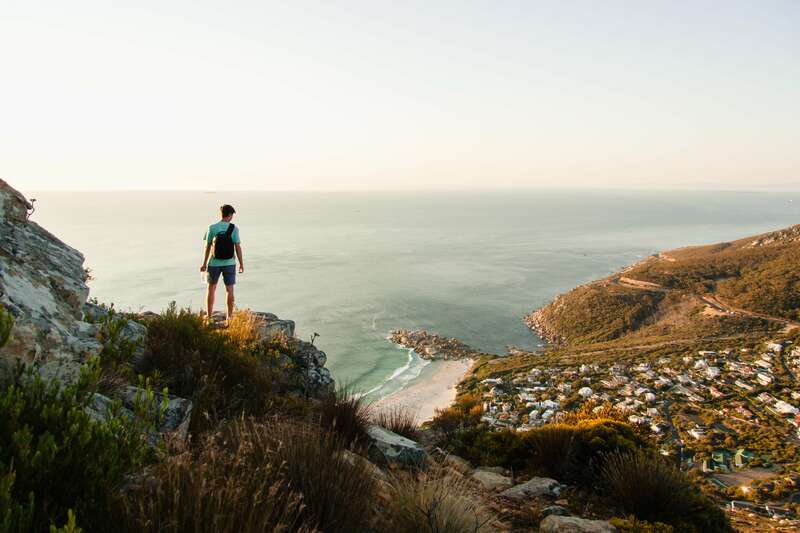 During the month of December, the vibrant city of Cape Town comes alive with an array of events and not-to-be-missed attractions, making it the ideal place to visit for Christmas. Christmas Eve activities could include watching a film under the stars at the beautiful Kirstenbosch Gardens, listening to the gospel choir in Green Point, or even enjoying a leisurely picnic in the Winelands. Christmas Day celebrations are usually spent enjoying delicious food and drink at one of the many luxury beach clubs and dancing until the early hours. Of course, the festivities don’t end there! Be sure to stick around for New Year’s Eve, where you could watch the sun set on 2017 with a magical hike at Delvara Farm, or even celebrate in style with a sailing and dining experience around Table Bay Harbour. 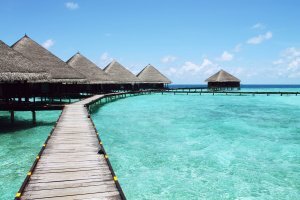 The largest island in French Polynesia, Tahiti is world-renowned for its charm, colourful culture and romantic ambience. 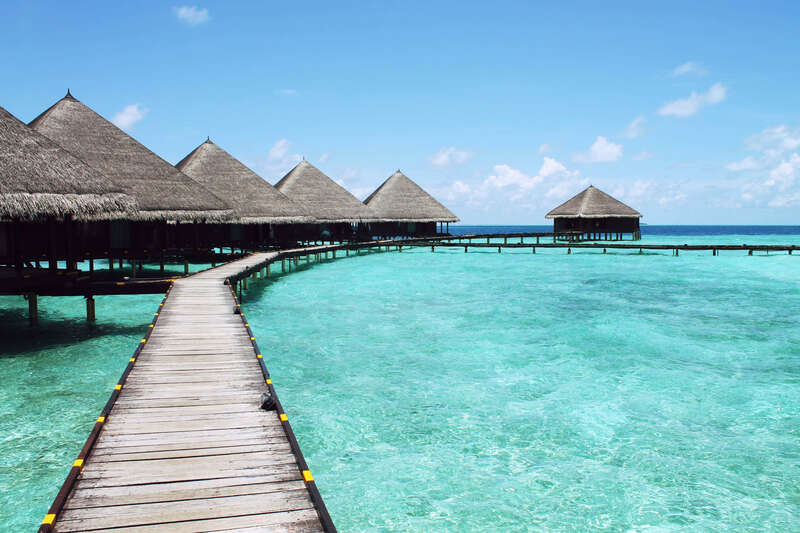 Whilst it’s very popular as a honeymoon destination, it’s often on the bucket list for holidaymakers wishing to escape the colder months and soak up the sun in style. Should you wish to have a break from your sunlounger, choose from a range of activities on the island to discover the local way of life. Visit French Polynesia’s only winery, Dominique Auroy’s Vin de Tahiti, on the atoll of Rangiroa. You can sample the Rangiroa Wine at the end of the tour, and even take some home with you! If you fancy something a little more upbeat, why not book yourself in for a Tahitian dance lesson. You’ll learn the different ways to wear a Polynesian pareo, then hear about the basics of this traditional art. You’ll have the chance to learn the movements that make up the Oritahiti (rapid, rhythmic dance) and of the Aparima (slow, sensual dance). Haven’t soaked up enough culture yet? Discover Moorea’s volcanic peaks, crystalline waters and lush hillsides on an adventurous Jeep Safari tour. You’ll also stop at a pineapple plantation and visit the juice factory! Have any of these locations inspired you? Contact us today at Lekker Boutique Travel and one of our knowledgeable and trusted experts will set about creating a unique, tailor-made trip you’ll never forget.